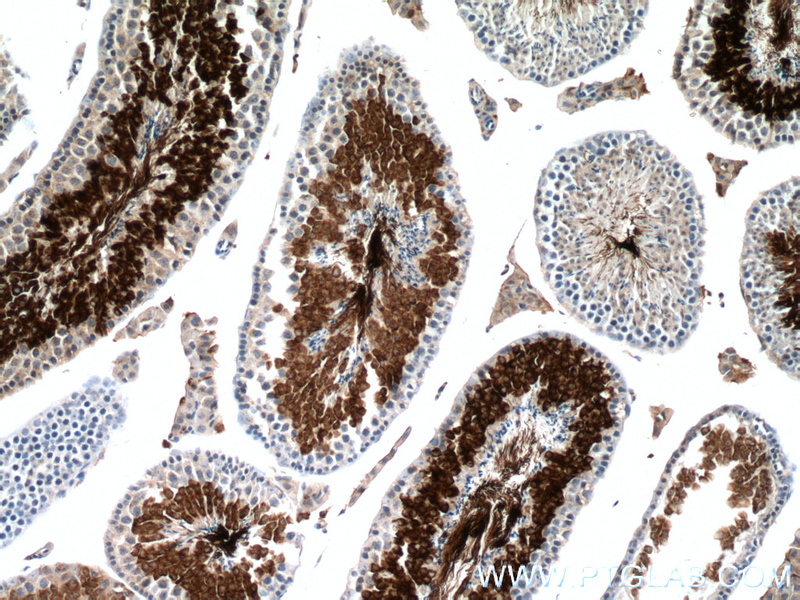 Immunohistochemistry of paraffin-embedded mouse testis tissue slide using 66255-1-Ig (AKAP3 antibody) at dilution of 1:100 (under 10x lens) heat mediated antigen retrieved with Tris-EDTA buffer(pH9). 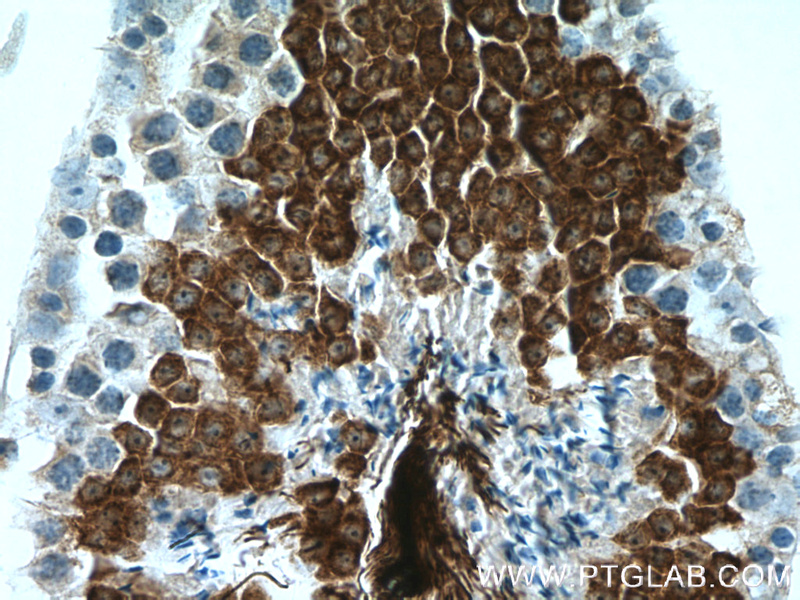 Immunohistochemistry of paraffin-embedded mouse testis tissue slide using 66255-1-Ig (AKAP3 antibody) at dilution of 1:100 (under 40x lens) heat mediated antigen retrieved with Tris-EDTA buffer(pH9). AKAP3 is a member of A-kinase anchoring proteins (AKAPs), a family of functionally related proteins that target protein kinase A to discrete locations within the cell. AKAP3 is reported to participate in protein-protein interactions with the R-subunit of the protein kinase A as well as sperm-associated proteins. AKAP3 is expressed in spermatozoa and localized to the acrosomal region of the sperm head as well as the length of the principal piece. It may function as a regulator of motility, capacitation, and the acrosome reaction.